The luxury market is showing further resilience, and contradiction, from the economic crises spanning the world. In the Middle East, amongst high unemployment and rising food prices, one city is displaying a resurgence in its luxury retail sector. 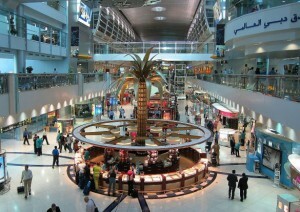 Dubai was not immune to the financial crisis, and retailers reported a 45% decrease in sales in 2009, but thanks to demand by wealthy Emiratis and tourists from Russia, China and India, business activity in the UAE private sector hit an 18-month high in January 2011. 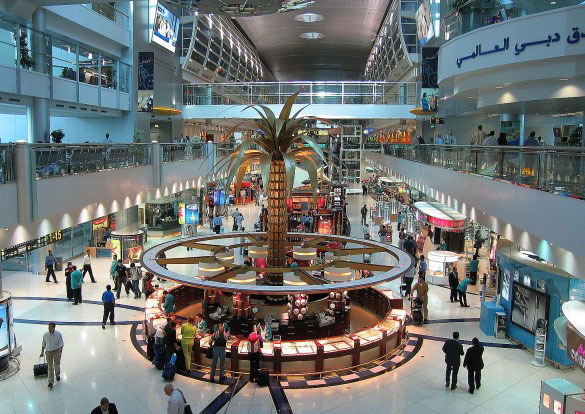 Back to indulge in their luxury delicacies, Dubai is back on track to regain its position as the second most attractive city in the world for retailers. Chocopologie is one of the retailers that is ready to get Dubai back on the up. The chocolatier claims to sell the world’s most expensive truffle “La Madeline au Truffe”, selling for $272 a piece. Other truffles include the Antoinette, a dark chocolate heart dipped in white chocolate and French rose water. Other products making a comeback include Dior mobile phones in a jeweled finish, and calf-skin leather bags, both from Dubai’s Rivoli Group, and platinum Breguet Double Tourbillion Classique Grand Complication watches, priced at over $440,000 apiece. Auction houses Sotheby’s and Christie’s are also wanting a slice of the pie in Dubai, where they have seen some of the biggest sales. American Express Publishing recently released a some new research on luxury consumers around the world. They surveyed people with an average consumer income of $520,000 to look at the impact of the recession on luxury consumer consciousness. 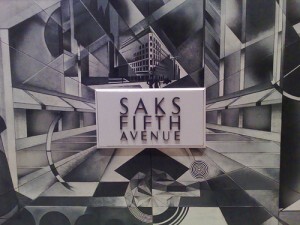 The research predicts that luxury consumption will rise by $28 billion over the next year because of a number of factors, including decreasing guilt over luxury spending (a drop from 54% to 45% was reported) and an increase in the mean incomes of the affluent with 400,000 new households joining the ranks of the wealthy for the first time since 2007. The percentage of luxury consumers saying they like the recognition of being wealthy has also increased by 12%. This trend in value and quality can be seen in previous blogs of mine on finding value and watches. In addition to this, more and more people are buying because they are happy than in order to be happy. Consumers are also becoming more immune to persuasive marketing strategies and are instead doing their own research. This not only shows us the continued importance for value and quality but also another facet to this new breed of luxury consumer, that of a connoisseur consumer. Today it’s more about “what I need or what my family needs.” It is no longer about keeping up with the Jones. In a sense, today’s affluent have become pioneers of the new “Econo-Me.” They feel they’re in complete control and can’t be convinced to buy what they don’t want or need. Their decisions will be their decisions, based on sound reasoning. Customers want what is classic, quality and a known quantity. And yet, they want to be surprised, they want to be dazzled, they want thrills. They want choice, but not too much choice, deals but not discounts. It’s all a bit confusing for brands trying to maintain consistency while creating the excitement luxury consumers need to see. It then becomes more important than ever for luxury brands to pay attention to the Theta and Lambda personas, because while luxury consumers may evolve and marketing strategies may change, Thetas and Lambdas alike will always remain as they are, albeit just more specialized than ever in knowing what they want. The economic recovery continues. According to this story in the New York Times, wealthy people are spending money again, but they’re keener than ever to find value. 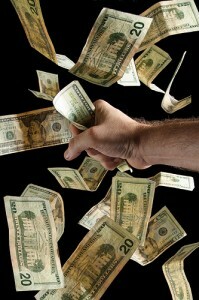 Today if they buy, they are not willing to be embarrassed by overpaying. There were times in 2007, for example, when there were multiple offers and people paid millions over the asking price. Today, nobody wants to be the last monkey in the tree. Let’s think about this from a Theta-Lambda perspective. It seems as if part of the reason that people are unwilling to overpay is because they don’t want to be embarrassed in front of their wealthy peers. This ‘seeking affiliation and belonging’ characteristic is a typical Theta behavior. Lambdas are less sensitive to prices and more sensitive to the value they will get personally from an item, and how it will make them unique. As the economic recovery continues, it will be interesting to see if Lambdas are as sensitive to value as Thetas, still looking for things that challenge themselves, but at a lower cost than before. Here’s an interesting interview in the Wall Street Journal with Carolina Herrera that I caught via Luxist. Like most in the luxe business, she, too, felt the pinch from a faltering global economy. But now she sees things changing. I saw the impact in the beginning. I saw it with the women who used to come to the boutique to buy. They bought less. All the information in the newspapers makes them nervous. When you see a lot of people losing their jobs and they have children to send to school and other commitments, then you think [more before] buying. Lately, it has been better. At one point, I used to see the people who used to buy a lot, and they were a little concerned about buying. Now they are shopping again. It’s good to see major players in the luxury scene express this level of optimism publicly, not just retailers. She explained a bit about what her strategy was during the worst of the recession. During the downturn, she has had to walk a fine line, trying to cater to frugal consumers without damaging quality or image. … Ms Herrera responded by cutting prices about 10% and making tweaks to trim costs. She is also expanding her lower-priced CH Carolina Herrera line, adding 17 standalone shops this year to the current 48. Her strategy speaks to an interest in not alienating a core Theta personality customer. If Ms Herrera had reduced her prices to 15% or 20%, her brand may begin to be seen as masstige. This would alienate both Theta personalities and any potential Lambda personality as a client. Because she resisted that, her brand’s position is in good position to grow more as the recession fades. Signs of life in the beleaguered luxury market continue. 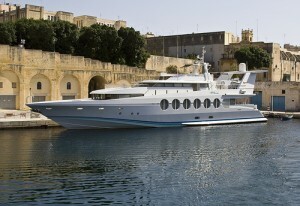 First it was in Europe’s yacht docks, where mid-sized yacht sales are picking up steam. Then in Silicon Valley, where luxury vehicles are seeing month-on-month increases in sales. And more recently across America’s upscale department stores, which are seeing sales jumps of around 7 per cent. 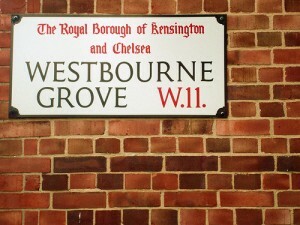 The Royal Borough of Kensington and Chelsea has sold land overlooking Holland Park in London for more than £100m to a joint venture between the Duke of Westminster’s Grosvenor Estate and Native Land, underlining the scale of the recovery for luxury residential property. It’s important to watch what happens after this deal. Is this the start of a trend, or a one-off event? If it becomes a trend, then London’s luxury property market could recover quickly than most other luxe industries. Richard Hastings, retail strategist at Global Hunter Securities, said that roughly half of the 80 per cent of Americans fully employed were not affected by the depressed housing market and were now more ready to spend as they had become less concerned about their own jobs. This could be seen as a a quickening of the pace of economic recovery in the U.S. I wrote previously that the trends happening in places such as Silicon Valley suggests that Americans with expendable income are regaining the confidence to spend it. Tracey Travis, chief financial officer of Polo Ralph Lauren, said the change in climate has mean the company has “slowly begun to see the gradual return of our core luxury customer”. Conclusions are being drawn from the release of January retail sales figures. Neiman Marcus, which operates about 43 luxury fashion stores serving the most affluent US consumers, said that its strongest categories included women’s couture clothing and precious jewellery. This isn’t a return to form for the Lambda personalities. Rather, the Thetas are opening their wallets for the high end items that they denied themselves in the last year, whether out of frugality or a desire not to be seen spending lavishly while others suffered. However a small up-tick in sales won’t be enough to level out the market to pre-recession levels. Only after sustained growth over a number of quarters would be it be wise to begin thinking that the luxe industry has begun a full recovery. For that to happen, Lambda personalities will need to get in on the action. Reports suggest that may be happening soon. But, given the number of false dawns we’ve seen during the recession, real recovery must be seen to be believed. Thanks to the recovering global economy, the world’s wealthiest individuals have regained their mega-spending confidence. Evidence of this can be found in the sudden up-tick in the number of mega-yachts being sold. “Boats over 100 feet are selling very strongly as the very wealthy feel the crisis less and tend to buy bigger and more modern boats”. The recovery in sales is very welcome, considering the beating the yacht industry took the previous year. 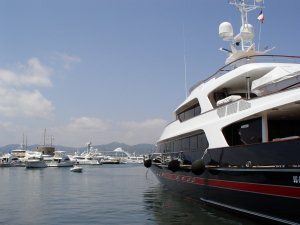 International Boat Industry magazine found that European yacht sales plunged about 50 percent in 2009. “Typical buyers for these boat categories like medium-sized entrepreneurs usually pay them with savings, and they still haven’t reached the level prior to the meltdown during the crisis”. At first look, it doesn’t appear these are the Lambda personalities who were freely buying mega-yachts before the recession. But look at it another way: Many are still trying to recover their financial footing. The people who are buying now are the people who feel compelled to set themselves apart from their friends, even if the size and price of the items is less than in earlier years. That is the mark of a true Lambda. There’s an interesting story in the New York Times today about the coming bonuses that rescued banks will begin doling out to its employees. Setting aside the furor over whether it’s the right thing to do, I want to look at what happens after the money is awarded. In the Hamptons, where real estate agents court bankers looking for summer homes, the sales are also expected to be a boon for contractors, movers and groundskeepers. “A community like the Hamptons depends on house trades,” said Diane Saatchi, an agent with Saunders and Associates who just sold a home to a banker for $4.9 million. “Don’t ask to talk to him about it, because he won’t,” Ms. Saatchi said of the buyer, deflecting a reporter. “They don’t want anyone to know they are buying.” That includes the banker’s extended family, she explained, because he is worried they will ask him for money. A by-product of the global recession has been how people feel about wealth. More specifically, how people feel about individuals who have great wealth. Instead of being seen as the fruits of hard work and business savvy, it’s instead being seen as a sign of extreme greed and selfishness. It’s too early to tell if this will be a short-term side effect, or if the public psyche has been forever altered by it. As the global economy continues to recover, it will be very interesting to see what the longer term affects that the recession will have on people’s perception of wealth. Was the rage and, at comes, contempt, because others around were suffering? Or is it the build-up of years of frustration? If it’s the latter, then perhaps we will see this phenomenon continue, long after the economy has fully recovered. A few years ago I’d have to pay someone for this infomrtioan. Luxury at a discount: Here to stay? 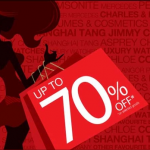 With affluent consumers joining in on the national skittishness about spending money during a deep recession, discounts have become a fact of life in the luxury sector. 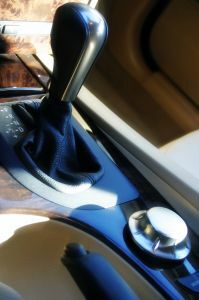 But while this may have kept sales from grinding to a halt, the ploy is not without its long-term costs. The discounts were good for the bottom line, and surely kept a number of brands afloat during the worst of the recession, but the damage done to brand image through discounts among the wealthy may be beyond repair. A likely by-product of the new range of discount luxe is that the “masstige” market will widen, creating something of a “middle class” in the luxe market.